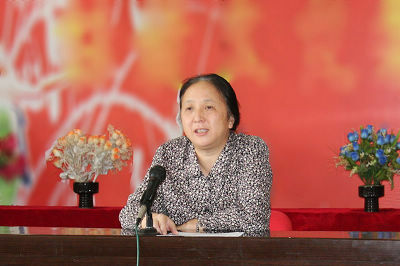 The leading group of this institute, Dr. LIU Congqiang as the director general, run out their term of office on September 16, 2009. 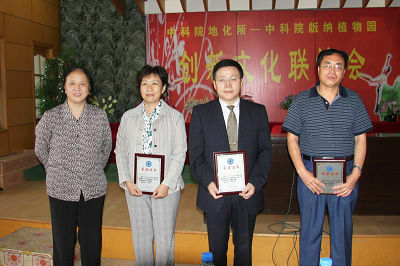 New directors were declared to manage this institute since then for a term of five years. The new directorate include Dr. HU Ruizhong as Director General, Prof. LI Shijie as the first Secretary of the Party committee, Dr. WANG Shijie and Prof. REN Xiaozhuang as Deputy Directors. 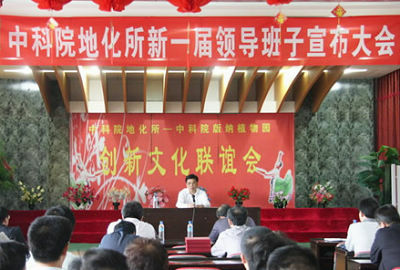 A inauguration was held in this insitute on the day and FANG Xi,　duputy secretary of Party group of the Chinese Academy of Sciences, and leaders from Guizhou Province and Chinese Academy of Sciences attended.